Dr. Frances Widdowson is the co-author of Donner Book Prize finalist Disrobing the Aboriginal Industry, and hosted the 2010 New Directions in Aboriginal Policy forum held May 05/10 at Mount Royal University in Calgary to which Gary McHale and Mark Vandermaas were invited presenters. Widdowson and Mount Royal University were targeted by student radicals with a campaign intended to convince the university to revoke its invitation to the two Caledonia activists via false allegations they were anti-native racists. Fortunately, the campaign was not successful. In this article, Widdowson provides what is perhaps the best commentary yet on the intimidation of free speech at Canadian universities since the Christie Blatchford incident at University of Waterloo as she makes her case for the vigorous defence of academic freedom. On November 12, 2010 a group of protesters, largely from the group Anti-Racist Action, prevented Christie Blatchford from speaking at the University of Waterloo. 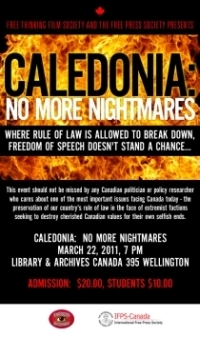 The university bookstore had invited Blatchford to discuss her book Helpless: Caledonia’s Nightmare of Fear and Anarchy, How the Law Failed All of Us. The protesters occupied the stage, chaining themselves together with bicycle locks, and chanted “racist, racist, racist”. The university, which wanted to avoid politically damaging images of “security dragging three people off the stage”, chose to cancel Blatchford’s talk. This incident raises a number of troubling questions regarding freedom of speech at universities. These questions were faced by Mount Royal University – the institution at which I teach – in May 2010, but they were dealt with much more satisfactorily than at the University of Waterloo. In May of this year I organized a second “New Directions in Aboriginal Policy” forum at the university, where Gary McHale and Mark Vandermaas (both featured in Blatchford’s book) were invited to give their perspective on the Caledonia conflict. When this became known, a number of academics across the country signed a petition “condemning” their presence. 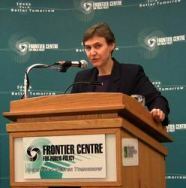 These academics maintained that allowing McHale and Vandermaas to speak would “give these anti-Native agitators an academic stage to parade their false allegations and half-truths” and would “serve to normalize racism, aggression, appropriation, and citizen-led militias as tools to solve localized conflicts over Indigenous lands”. What was needed, in their view, was “a recognition of Indigenous land rights, nation to nation negotiations and the peaceful settlement of land claims”. Although Mount Royal was pressured, even by some of its own faculty, to “reconsider this travesty”, the university acted in a manner that was consistent with its mandate to promote public debate and freedom of expression. 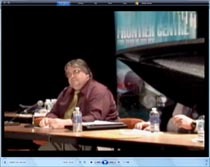 Instead of bowing to the demands for censorship, a representative from the Six Nations of the Grand River Territory, Wes Elliott, was provided with funding to come to the event from Ontario and challenge the views of McHale and Vandermaas (I had tried for many months to have an academic from Alberta do this but these efforts were in vain). Security also was on high alert in case there were attempts to prevent people from presenting their views. Fortunately, coercion was not necessary. All the discussions took place in a constructive fashion, and I even witnessed Wes Elliott and Gary McHale having a civil conversation in the Faculty Centre after the event. Strangely, Kate Milley, a “white settler academic” associated with the organization that initiated the petition, actually attended the forum “to see for [herself] what was going on”. So, after counseling a boycott of the event, Milley then went about publicizing her own, highly selective, interpretation of the proceedings. This entry was posted in Excerpts, Helpless, Helpless - News, University of Waterloo and tagged Academic Freedom, Dan Kellar, Dr. Frances Widdowson, Free speech on Universities, Kate Milley, New Directions in Aboriginal Policy forum, University of Waterloo, Wes Elliott, White Supremacist Accusations. Bookmark the permalink.